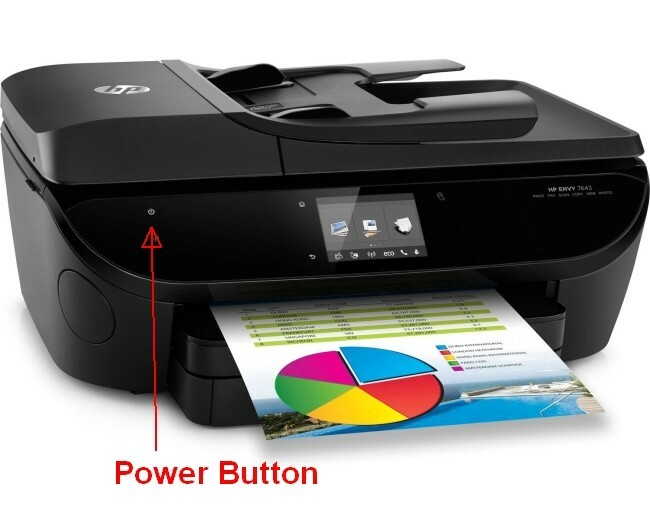 Which ink cartridges do I need for my HP ENVY 7644 e-All-in-One series Printer? For your US, European and UK HP ENVY 7644 e-All-in-One series you need HP 62 Black and HP 62 Tri-Color cartridges or HP 62XL Black and HP 62XL Tri-Color cartridges. There are also Combo Packs (2 cartridges in one pack) available, like the HP 62XL/62 High Yield Black and Standard Tricolor Ink Cartridges Combo Pack. 12. Wait for the printer to calibrate and align the cartridges. After the alignment is complete, the printer prints an alignment page. 13. Load the cartridge alignment sheet print side down on the right front corner of the scanner glass. 14. 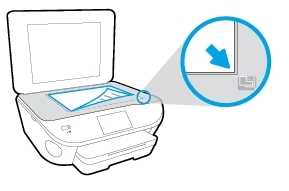 Follow the instructions on the printer display to align the cartridges, and then discard or recycle the alignment page. – Now, go to step 13. 1. Make sure you purchase the right ink cartridges for your specific printer and printer region (or have your old ones refilled). Cartridges are not compatible between different brands, and often not within the same brand. Unlike other inkjet manufacturers, HP designs its inkjet hardware to use country-specific consumables. When you unbox a new HP inkjet printer and set it up, you install a set of ink tanks that ship with the printer. As you turn on the device and get ready to use it, an initialization sequence localizes it to the country associated with the ink cartridges you installed. HP recommends that you use Original HP ink cartridges. XL (Extra Large) cartridges cost more but do provide better value in the long run. They will be able to print at least double the pages of a regular cartridge. Our advice is that if you print often, go with XL. However, ink can dry up. So if you are not a frequent printer, go with the regular cartridges. 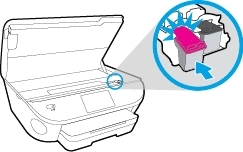 You’ll usually install both the black and tri-color cartridges in the HP ENVY 7645, but you can also leave one ink cartridge carriage empty (single-cartridge mode). During single-cartridge mode, the printer can only copy documents, copy photos, and print jobs from the computer. 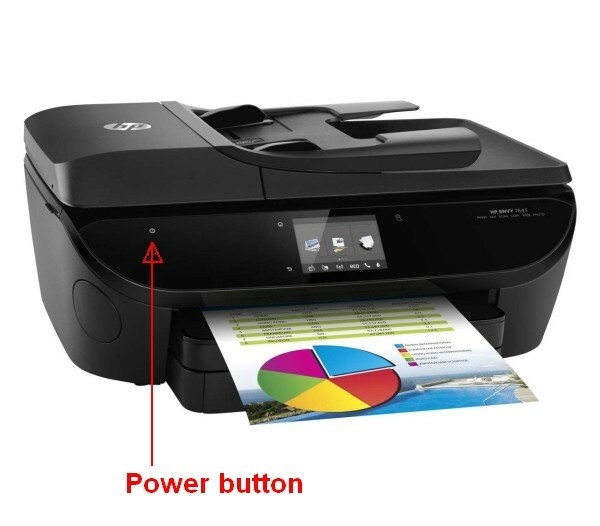 Which ink cartridges do I need for my HP ENVY 7645 e-All-in-One series Printer Printer? HP 62 or HP 62XL cartridges. 3. Press the Power button to turn on the printer, if it is not already turned on. 4. 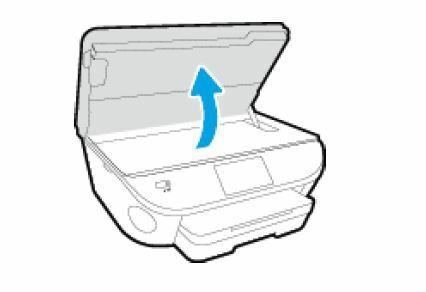 Open the cartridge access door by placing two fingers under one or both of the small handles on the sides of the cartridge access door and then lifting it up. The Door Open screen displays on the printer control panel with the message, ‘The cover or door must be closed to print. Check that it is completely closed.’ A Change Ink option also displays on the bottom right corner of the touchscreen. 5. Touch Change Ink to watch a video on the touchscreen about replacing the cartridges (optional). 6. Lightly press down on the cartridge to release it. 7. Pull the cartridge toward you out of its slot, and then set it aside for recycling. 8. Remove the new cartridge from its package. Be careful to touch only the black plastic on the cartridge. 9. 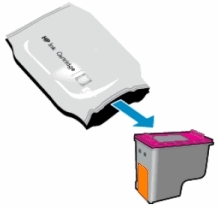 Pull the orange tab to remove the protective tape from the cartridge.
! Do not touch the copper-colored electrical contacts or the ink nozzles. Also, do not re-tape the cartridges. ! 10. Slide the new cartridge at a slight upward angle into the empty slot, and then gently push up on the cartridge until it snaps into place. 11. 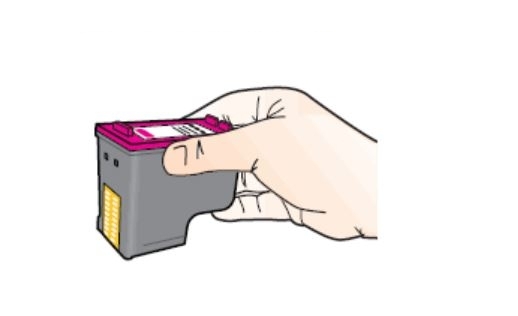 Repeat these steps to insert the other cartridge, if necessary. 12. Close the cartridge access door. When the door is completely closed, the Door Open screen with the message, ‘The cover or door must be closed to print. Check that it is completely closed.’ disappears, and the printer returns to the Home screen. 14. Wait for the printer to calibrate and align the cartridges. After the alignment is complete, the printer prints an alignment page. 15. Load the cartridge alignment sheet print side down on the right front corner of the scanner glass. 16. 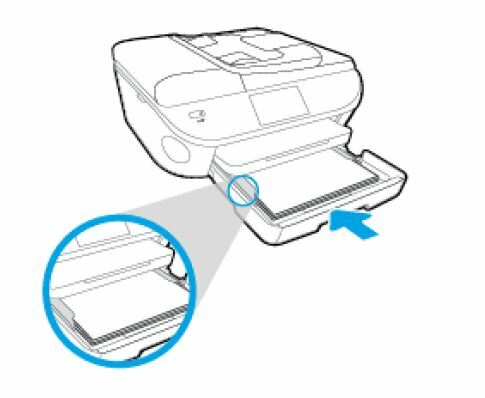 Follow the instructions on the printer display to align the cartridges, and then discard or recycle the alignment page.